Through friendship and bravery a group of young Sudanese fight to overthrow one of the world's most brutal regimes. Part one of the BBC Arabic program that dealt with the internal issues of Sudan and other related events taking place in the Arab world. Part two of the BBC Arabic program that dealt with the internal issues of Sudan and other related events taking place in the Arab world. Part three of the BBC Arabic program that dealt with the internal issues of Sudan and other related events taking place in the Arab world. 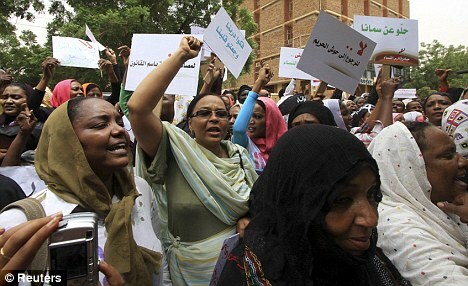 Protesters in Sudan came out onto the streets of Khartoum, in support of the Egyptian demonstrators calling for the resignation of president Hosni Mubarak and Sudan's President Omar Al Bashir. Political challenges ahead for both the south and the northern part of the country, Al Jazeera try to find out what lies ahead for the current leadership in Khartoum as it faces the prospect of losing traditions and heritage as well as territory. 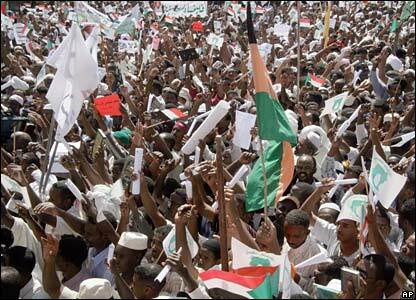 Opposition leader Hassan al-Turabi shares his views about the state of the nation. UPDATE: South Sudan voted in favour of secession, it is due to become an independent state in July 2011.